Winterling is a knitted, quilted wall hanging, embellished with crochet, embroidery, beads, and buttons. 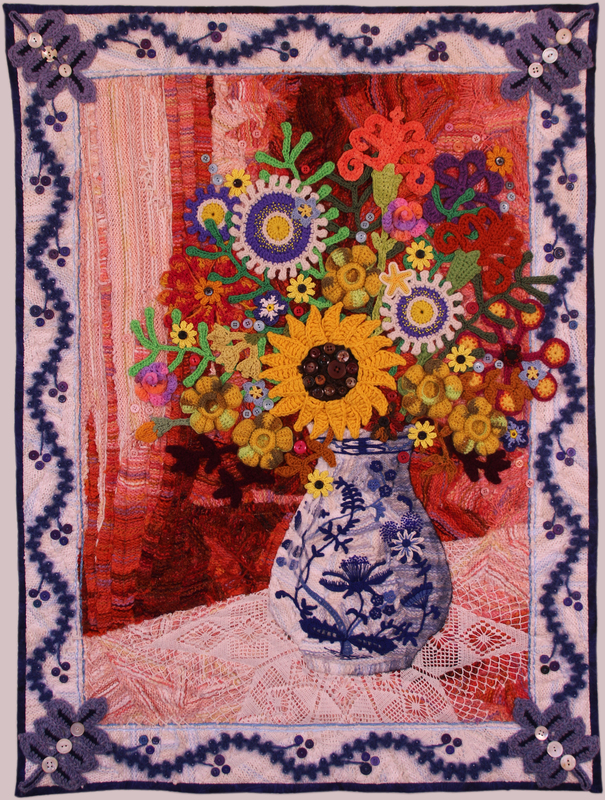 It was made by textile artist Suzann Thompson in 2017 for her Celebrate Doilies exhibit. The name Winterling refers to a now-closed chinaware factory in Schwarzenback an der Saale, Germany, where Thompson's great-grandmother worked. Among the many china patterns the Winterling factory produced was the popular blue and white Zwiebelmuster or Onion Pattern, which Thompson interpreted on the vase in the picture, using a combination of knitting, applique, crochet, embroidery, and beading. 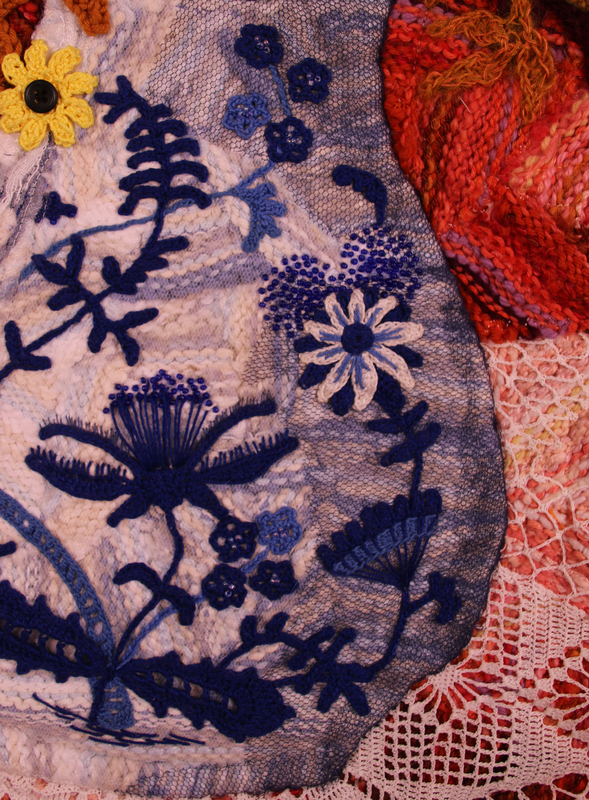 The crocheted flowers are Thompson's own designs. The background of the picture is reverse stockinette stitch, knitted with many different yarns, stabilized with fusible interfacing, cut and pieced back together, and machine sewn to a fabric foundation.